Sepco Flush type conduit reducer bushing of trade size 4-Inch x 2-Inch, features steel construction and zinc-plated finish. 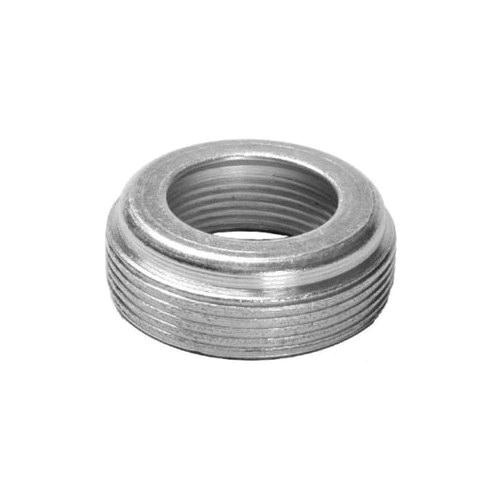 Bushing featuring threaded hexagonal head connection, is suitable for rigid conduit and IMC. It measures 2.68-Inch x 1.22-Inch. This bushing reduces the trade size of tapered entry on conduit fitting. Bushing is UL and cULus listed.